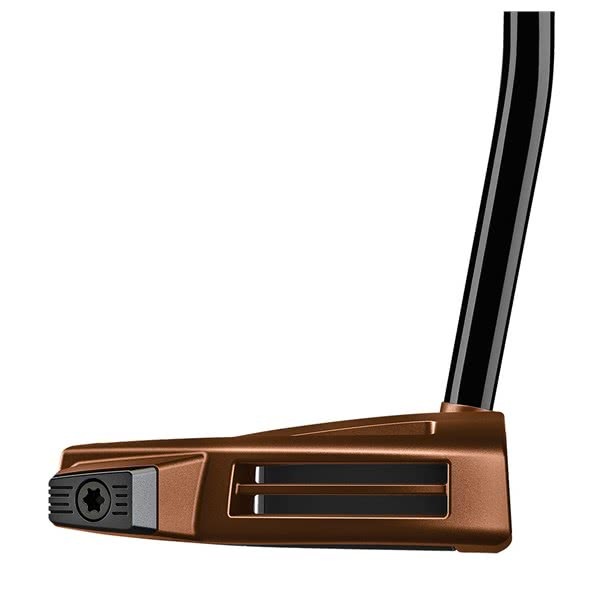 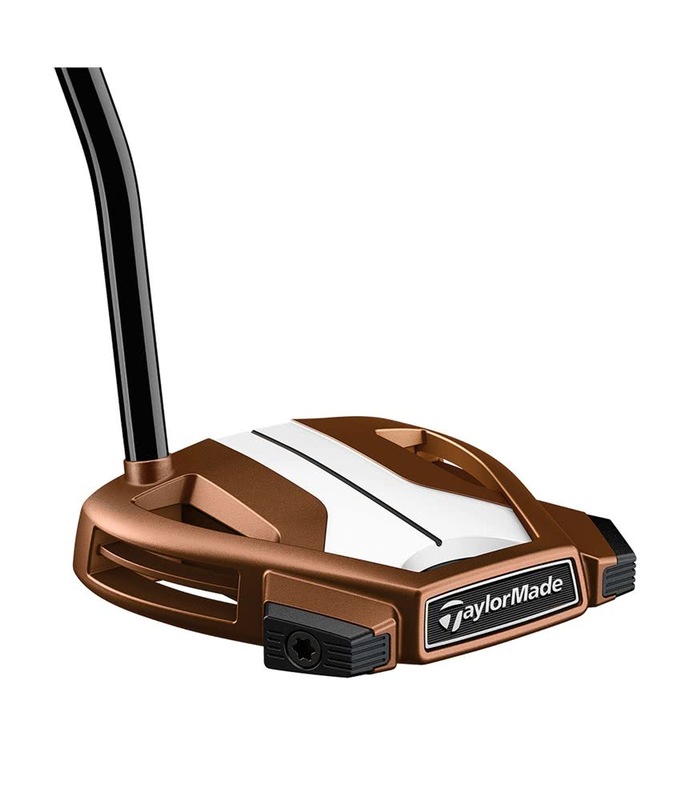 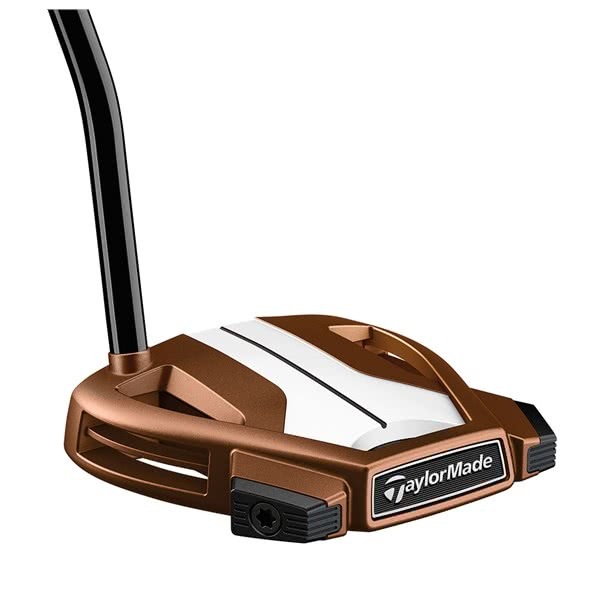 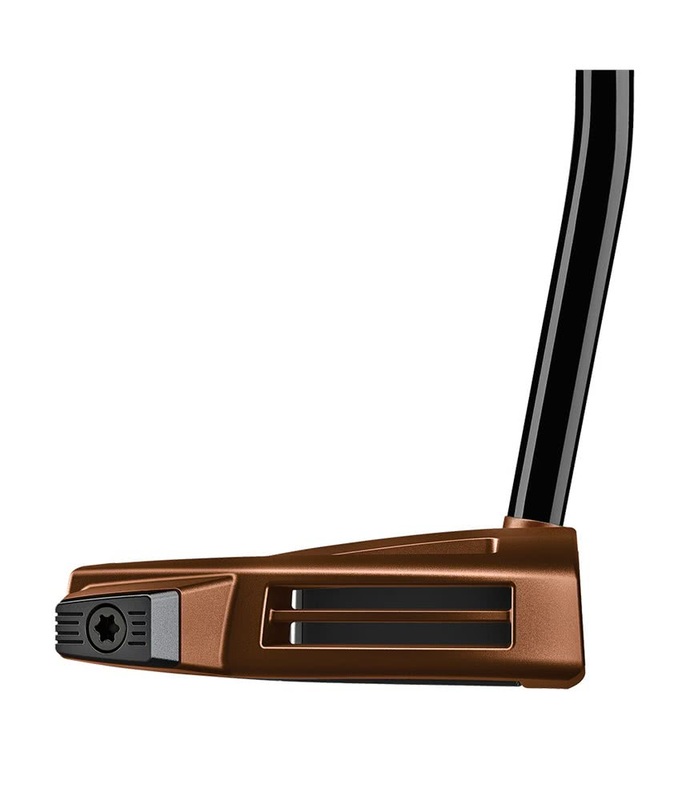 The TaylorMade Spider X Single Bend Dakota Copper Putter has been designed as a high MOI putter that offers excellent alignment for improved accuracy and control. 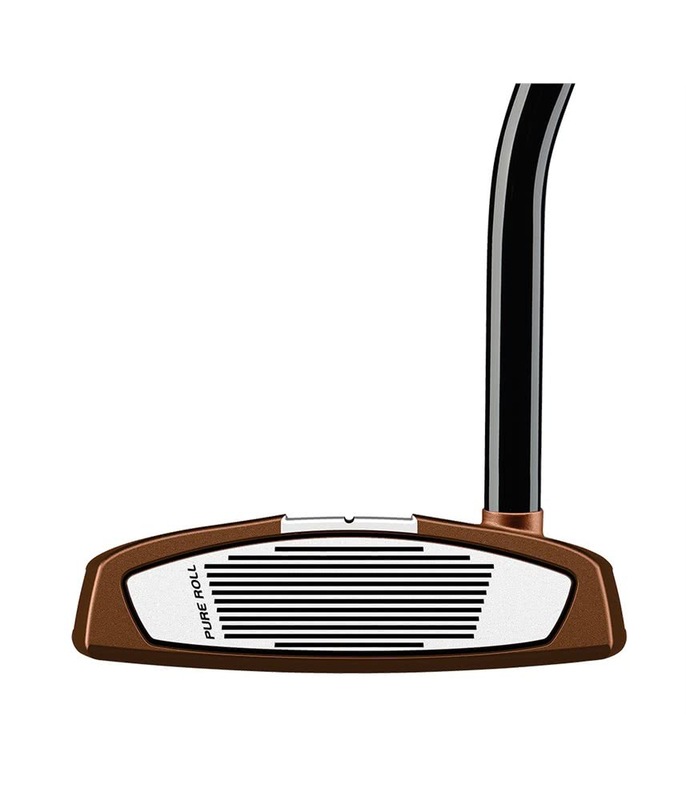 TaylorMade have used a cooper head colour with a single white sightline framed by the new True Path Alignment System . 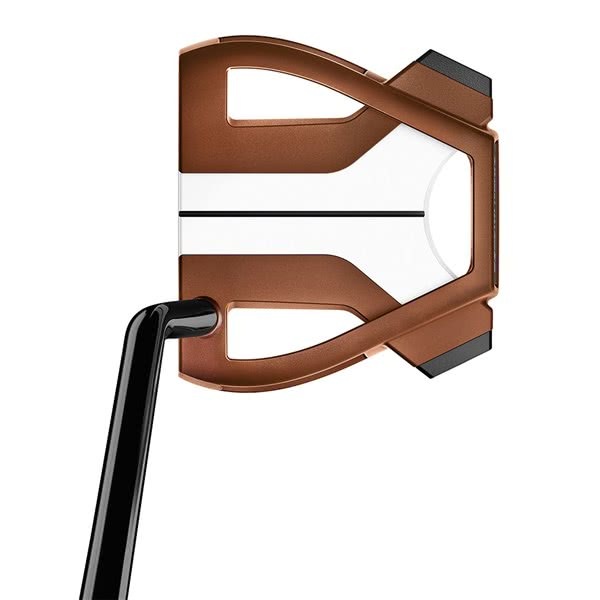 On the underside of the Spider X there is a lightweight 15g Carbon Composite Core that works in tandem with the heavy 320g and redesigned weight ports to produce a super high MOI for increased stability through stroke and impact. 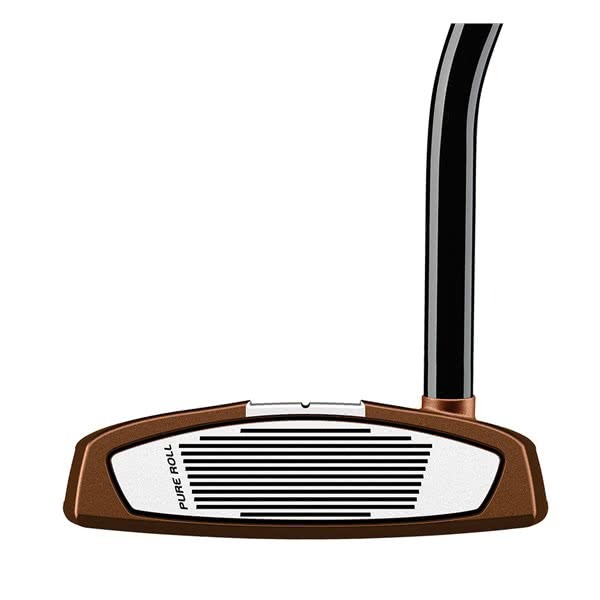 A new 5mm Surlyn PureRoll Insert has been used to provide a better impact sound, feel and roll off the face. 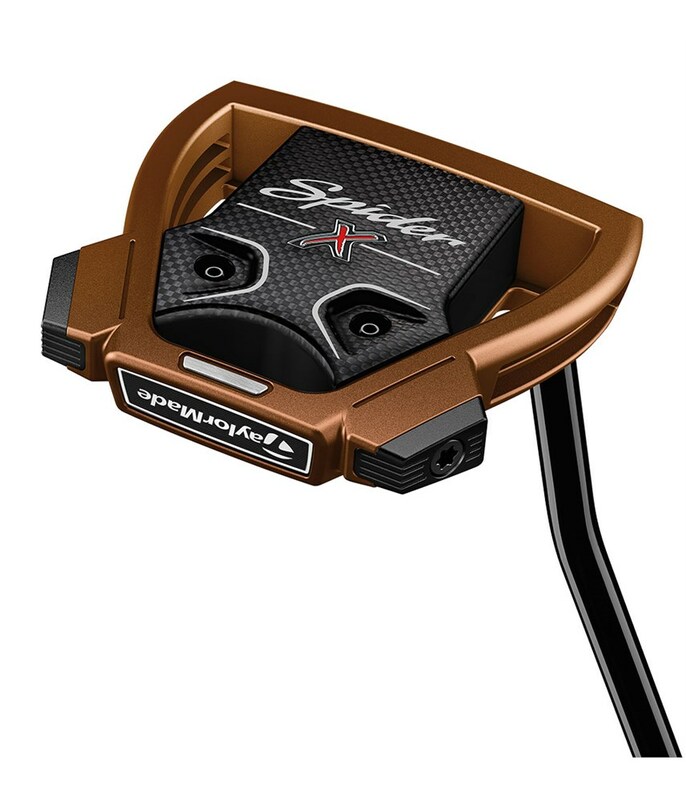 New True Path Alignment System helps visualize the intended target line for improved putting accuracy. 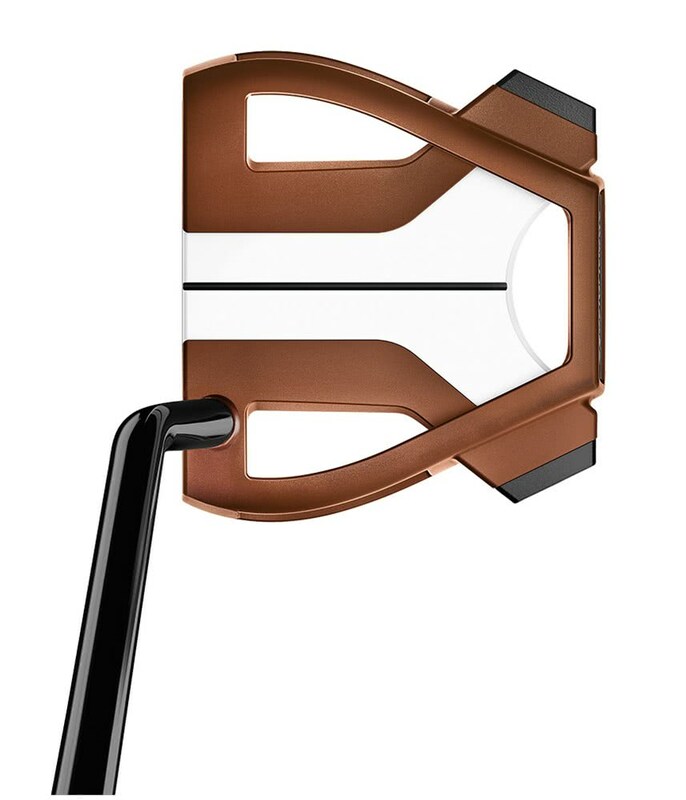 Spider X improves mass properties and stability by utilizing a heavy 320g frame with extreme perimeter weighting. 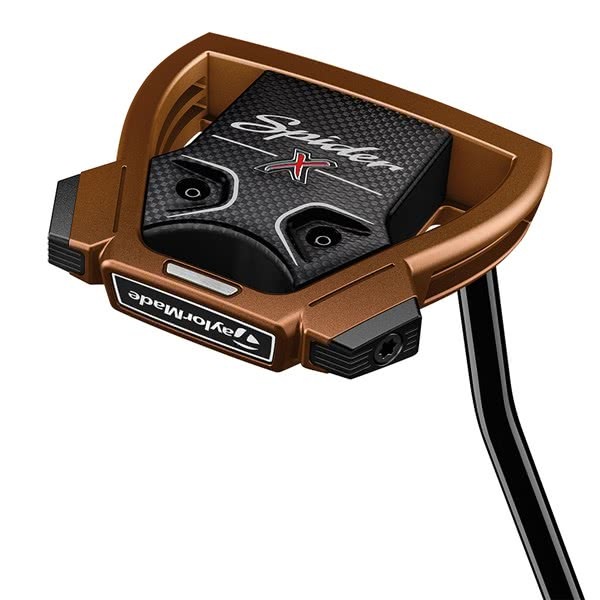 Redesigned weight ports (2g, 6g, or 12g) enable personalization of feel and stability. 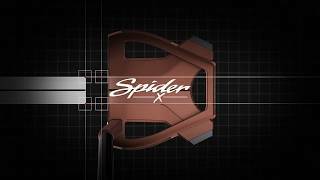 Spider X features a redesigned head with a steel frame that is 30% heavier to minimize twisting.